feel free to nick any of these. Please keep political arguments off of here and in particular speculation relating to this thread. Someones political beliefs are not for discussion. If you want to discuss politics please do so in the NUMB. Those posting off topic and outside the remit of this forum will be deleted and may face further sanction. bristolhammerfc wrote: Please keep political arguments off of here and in particular speculation relating to this thread. Someones political beliefs are not for discussion. I'm confused. I thought NUMB is what RWHF called this site? Hammer1972 wrote: The Club is working in close conjunction with the Metropolitan Police to identify those individuals, who entered the pitch during the second half, and with stadium operator LS185, using London Stadium’s high-quality CCTV footage, to identify those who threw missiles, both of which are specific offences under the Football (Offences) Act 1991. Unless you were trying to put off future protestors! If people are looking for an easy way to buy that image on T shirts or indeed anything else the originator could consider putting it on Redbubble or similar site. Just a thought. Front and centre, giving it some. Truth or not about 'missiles' - it's been said that Sullivan was hit with a coin - this is 2018 and the club have to show that they will act on any kind of disruptive behaviour not just for themselves, but to the FA, the insurers, the plod, the London authorities, the local authority and no doubt the athletics people who co-use the stadium. It's all box-ticking responsibilty now and it affects business (yeah, I know). I think the club are within their rights to ban individuals who cause disruption or act in a threatening manner. You were there Mr. Skid, I weren't and I guess you know what you saw, but these are things clubs have to do these days. the reality is, whatever measures they take to make the stadium more legitimate in the eyes of the authorities will only amount to making the matchday experience even more of a soulless anti supporter frog-march. see the chelsea game in the league cup. i expect the plums in high-vis to make a reappearance. I was also there, I sit right in front of where the protesters gathered, and while it was noisy, and distracting, I saw no one throw anything nor did I see anyone in the directors box duck or avoid anything aimed at them. That's not to say it didn't happen, but I saw no violence, or missile throwing, just a noisy rowdy mob of a few hundred. Everything about this statement is stupid and maddening. West Ham United are committed to taking decisive and positive action with the primary focus of ensuring London Stadium is a safe, comfortable and secure environment for supporters attending future matches. So when we told you it wasn't safe you didn't act, you're only doing something now you don't feel safe? Any individual found guilty will be banned from attending any West Ham United fixture, home and away, for life and the Club will request the courts serve a banning order to prevent these individuals attending any football matches in the future. Not sure by using the language of a crackdown, you are capturing the mood of people here. Senior Club representatives will take a full and leading role at an emergency meeting of the core Safety Advisory Group (SAG) at London Stadium on Thursday. There, West Ham United will be joined by representatives from LS185, certifying authority Newham Council, the Sports Ground Safety Authority, the Metropolitan Police, E20 and the London Legacy Development Corporation (LLDC). All the key stakeholders except... the supporters. I'm still waiting to see concrete proof that coins were thrown. It certainly is, and it does nothing to even begin to address the unrest and disgust that permeates the Club. If anything it seeks to alienate us still further. There is no evidence of coins being thrown, but I am pretty sure that there were other objects that landed in "no mans land". I suspect they will identify and penalise these people and make out that they're the individuals that threw the "coins" at Sullivan & co. Sorry mate it came out funny then I went and edited it so put someone else's words in with yours. Appolos. Beavis Danzig wrote: i'm under no-ones banner. Thus all ****ing day. 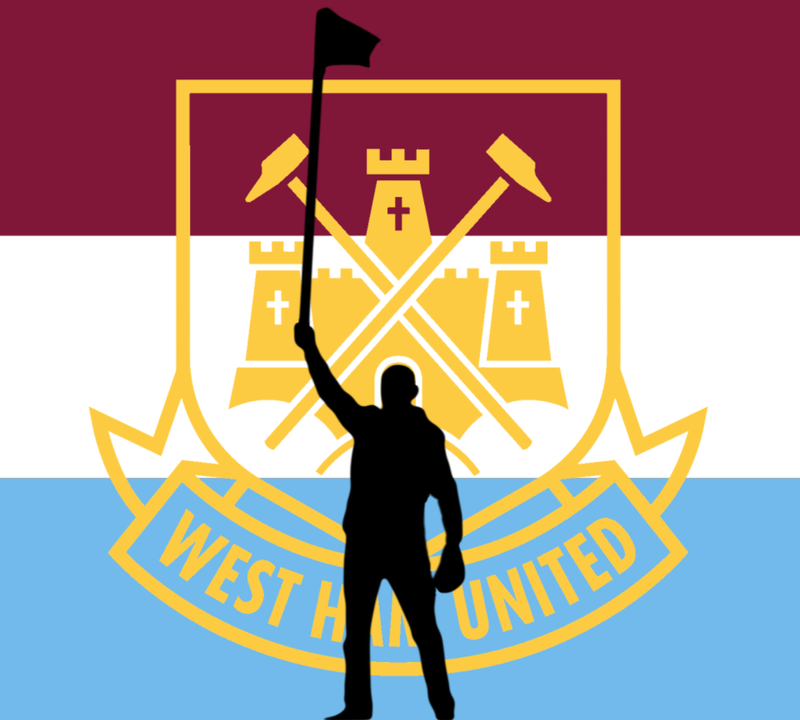 No need for affiliating to groups or orgnaisers just come together as west ham and make our voices heard. And id say it was more like just 100 when we first set off walking, with more joining once we set off. This whole situation with the board, and now two squabbling fan groups, all trying to exert their own brand of control over the fans actions is getting very tiring. The fans should be pulling in the same direction, and the social media sniping is turning a lot of sensible supporters off. The Facebook stuff has nothing to do with politics, or even West Ham, but everything to do with egos jostling for position based on their own exaggerated feelings of self-importance or their desire to impress their friends. Last edited by TonkaTwo on Wed Mar 14, 2018 6:54 pm, edited 3 times in total.